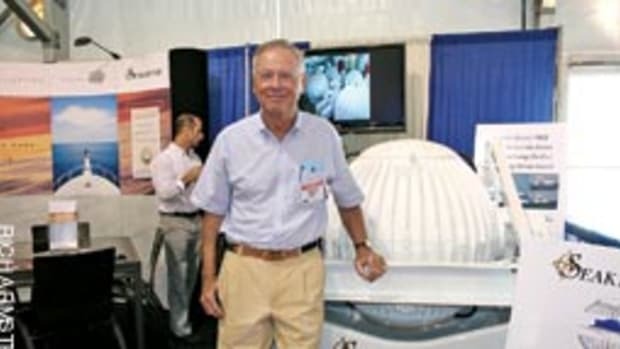 Al Herum is a former Florida Keys charter captain who evaluates marine electronics in real-world scenarios for his website www.marine-electronics-reviews.com, which he launched in 2007. Herum, who is 53 and resides in Tavernier, Fla., uses his 1992 Contender, a 25-foot center console with a 250-hp Suzuki 4-stroke, as a testing platform for VHF radios, GPS/chart plotters, sounders and other marine electronics. 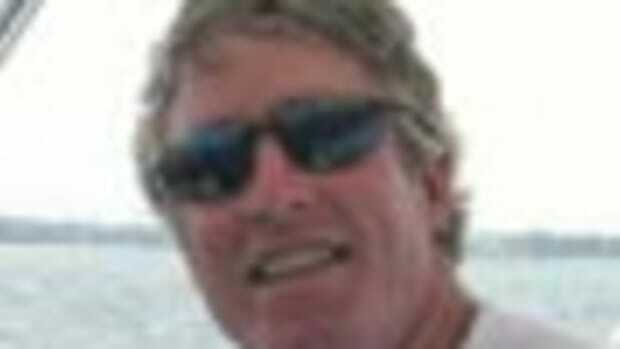 He has owned or piloted numerous vessels, from RIBs to a 50-foot sportfisherman. In addition to the Contender, he runs a 1974 20-foot SeaCraft that he and his son restored. 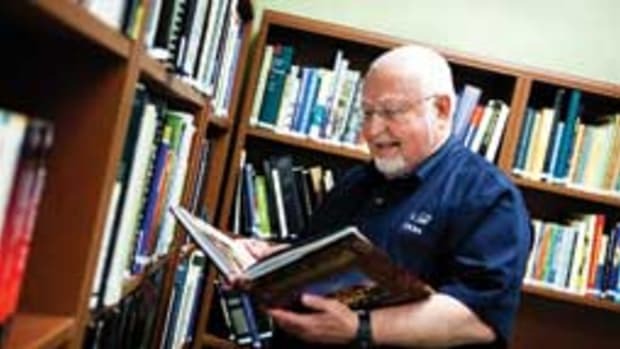 Herum spent 20 years as a pilot for a major U.S. airline and still holds an aircraft mechanic&apos;s license. 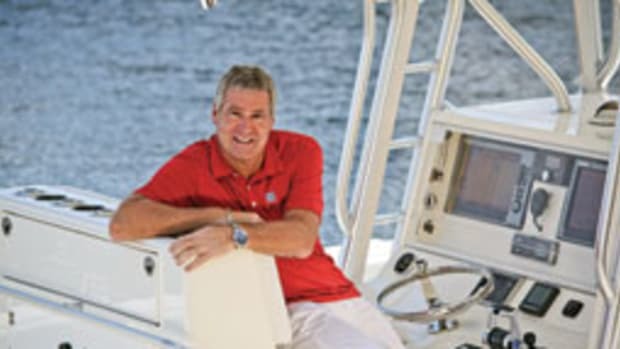 After moving from Chicago to the Keys in the late 1980s, he ran a 37-foot twin-screw Stapleton express fishing boat for six years, hooking up his clients with dolphin, grouper and sailfish. 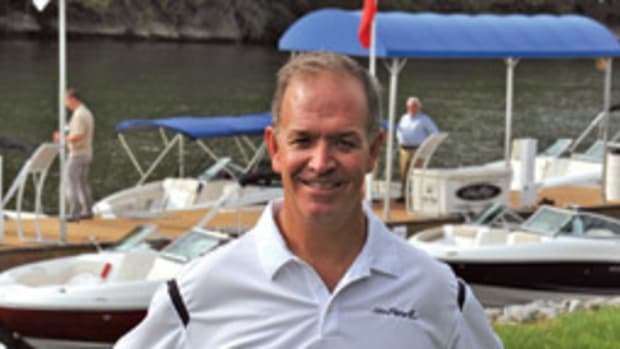 In this interview he talks about the characteristics of a good fishing boat, the future of marine electronics and the one piece of safety gear he&apos;ll never remove from his boat. Q: What was the first boat you owned? 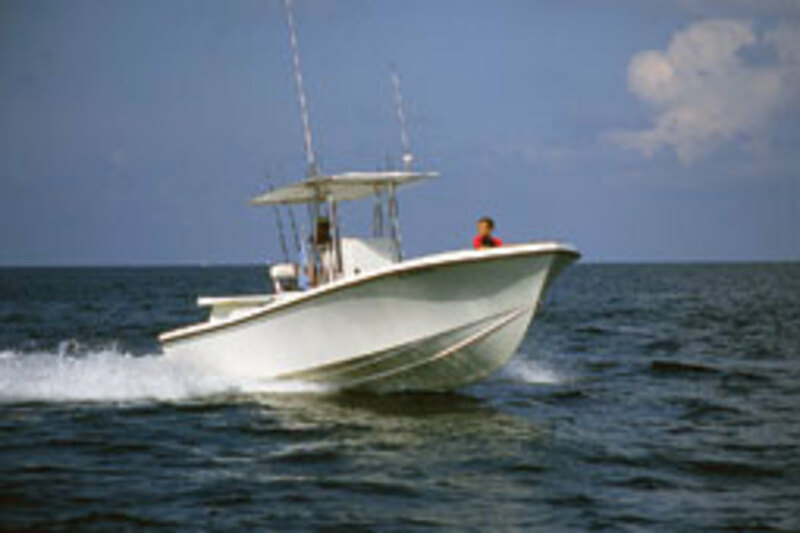 A: It was a 26-foot Mako with twin inboard gas engines, a tower - a center console fishing boat. I got that when I first moved to Florida in the late &apos;80s. It had twin Chrysler 318 gas inboards, and it was literally a maintenance nightmare. I will never buy a gas-powered inboard boat again - it&apos;ll be either inboard diesel or outboard. Automotive engines are designed for certain operating levels, and those levels are not the same on a boat. Marine engines are used hard. You can&apos;t coast down a hill in a boat. In the end, I repowered with newer 318s and replaced one transmission. 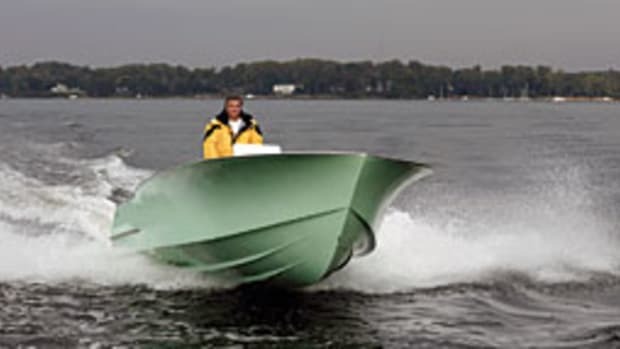 [My next boat] was just a small skiff with a 30-hp outboard - flat bottom, just a run-around, fool-around boat, a center console. I also had a Hobie Cat sailboat. I had a 19-foot Dusky with a 140-hp carbureted outboard. That is the kind of boat I prefer these days. They don&apos;t require out-of-control maintenance. Q: You ran charter boats in the Keys for 10 years. Tell me about the primary boat that you utilized for your business. A: In the early &apos;90s I bought a big twin-diesel charter boat. It was a 37 Stapleton built in Miami. The boat was basically an open-cockpit fisherman with a tower. It had two 671 Detroit diesels that were souped up by Johnson & Towers. They were like 410 hp each. They were noisy, oily. I learned really fast how to change turbochargers. I changed about six of them. It had a huge cockpit and a wide beam. It was a great boat for live baiting because you would just lay up in a sea and hardly roll at all. You&apos;d see some Bertrams out there that would be dipping their outriggers. It had wide covering boards. The downside was it basically had no bow [protection]. It would take green water over the bow in a 4-foot sea. Wet as hell running in a chop. Q: What were the other charter boats? A: I ran a 16-foot Action Craft on flats fishing charters for a couple years after selling the Stapleton. This boat was small enough to pole, big enough to anchor in bridge channels and had a decent live well. I modified the live well outlet to make the water level adjustable for various baits. The boat had very wide covering boards all the way around, which I loved. I have also captained a few customer boats over the years. Q: Soundings has covered a number of offshore accidents involving small boats. Do you travel offshore in your 25-footer? A: I took a trip in my Contender from my home in the Keys to the south end of Little Exuma (Bahamas), which is about a 300-nautical-mile trip. I felt confident taking that trip, but I had an offshore life raft and an EPIRB aboard the boat, and the regular safety gear. You have to have the right stuff and the knowledge to go offshore. 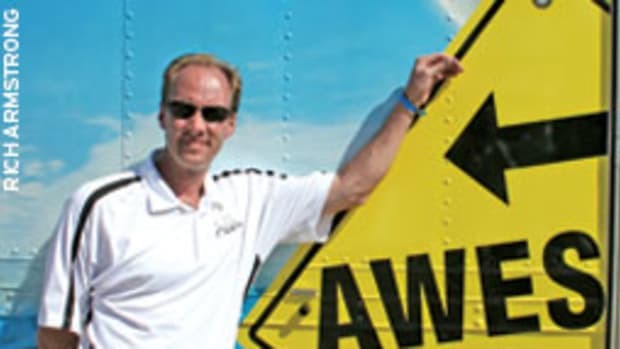 Boating knowledge and experience is critical, so you don&apos;t go and do things like anchor up by the stern in 40-knot winds. My EPIRB is on my boat 24/7 - I can&apos;t forget it. Q: Now you have a website -www.marine-electronics-reviews.com. Tell me about the website&apos;s content. A: The majority of the content is marine electronics reviews that I have done myself. There are a handful of reviews that readers have submitted. And I have continued testing these products, everything from hand-held VHF radios to chart plotters to sounders to [Automatic Identification System] units - everything. I use my 25-foot Contender or my son&apos;s 20-foot SeaCraft to test the gear out on the water. Q: What have you learned in general terms about the performance and durability of marine electronics after a decade of testing? A: Most of these products do what the manufacturers say they will. You see differences between the products, differences in their displays and how you - as a mariner - interact with them. Some are easy to use, and some are more difficult to use. Q: I worked with you at Powerboat Reports for seven years, so I know what you did for the publication. Please tell our readers about your role. A: I tested a variety of marine products, everything from life jackets to bilge pumps to marine electronics. I rated the products and recommended those that performed best or performed well for the money and offered good value. It was interesting and enlightening because you were finding out what these products were capable of and not capable of. There were some products that failed to live up to their claims, but many went beyond what you would expect of them. Q: What did you learn specifically about marine products? A: Some of the [standards] that these products receive approvals for, such as government approvals, aren&apos;t exactly met in the real world. Like Type I life jackets are supposed to flip over an unconscious swimmer, but in the testing we did, that was not the case. Not all of these Type I PFDs did this - flipped you over. And the ratings on some of these bilge pumps - that&apos;s just blatant false advertising. A: A pump is rated for some particular flow rate - 500, 1,000, 2,000 gallons per minute. But the rating in some cases comes from using the pump in a way that you never would in the real world. It&apos;s an open-flow rating with the pump sitting in water, with no hose attached, nothing connected to the pump. It&apos;s a joke. It&apos;s like giving a gas mileage rating for a car based on driving downhill. In the real world, the pump sits in the bilge, has some length of hose, and that hose has to go uphill to get above the waterline of the boat. All this constricts the flow. There are a few pumps that do publish on the box flow rates with some standard "head height." But many have ratings based on open flow. Q: Talk about the changes you&apos;ve seen in small-boat electronics over the last decade - where is that headed? More sophistication? More power and features for less money? A: When I ran my charter boat it had Loran only and an antique sounder. It had a paper machine, which have gone by the wayside. Loran is gone. Back when GPS came on the scene there was still selective availability, so GPS was far from what it is today. We have WAAS-capable GPS - very accurate. You&apos;re going to see more sophistication, more integration. For instance, on my Contender, I have a chart plotter and an autopilot, and I can control some features and functions of the autopilot through the chart plotter. Your chart plotters are going to be multifunction devices that display information from dozens of sources. Q: What are the characteristics of a quality piece of electronics? A: It has to be durable and built for the marine environment and backed with a warranty that proves that&apos;s the case. Q: What functions, features and other aspects of marine electronics need improvement? A: Some manufacturers need to work on the durability issue, and the user-friendliness can always be improved. There has been some improvement in interface capability with NMEA 2000. Until recently you had to deal with different fittings and adapters to make these units talk. Now it&apos;s much easier. There is a movement toward common fittings and connections, making it more inter-manufacturer-compatible. Everybody wants to have their own proprietary network so they can sell more of their product, but obviously this is not to the benefit of the consumer. Q: What are some of your favorite pieces of electronics and/or safety gear? A: The Garmin 740s. I have installed a couple of these on other people&apos;s boats already, and everyone loves them. This chart plotter/fishfinder has brought touch-screen technology down to a price range where the average boater can afford it. Knowing I have a Winslow life raft and an ACR EPIRB aboard gives me the confidence to travel far offshore over long distances in my single outboard-powered Contender. Q: Describe your current boat - the 25-foot Contender. 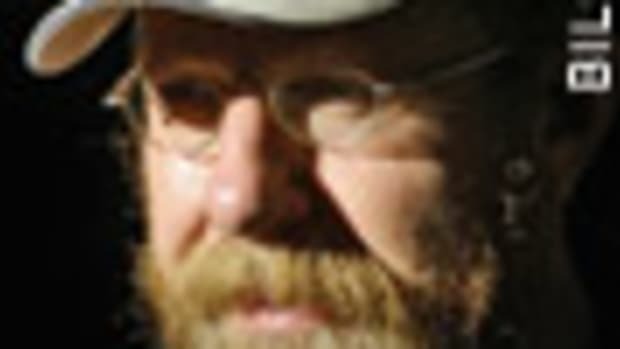 A: I sold the charter boat in the late &apos;90s, and then I bought a flats boat and fished the backcountry. About a year after, I bought the Contender because I wanted something I could use to get offshore. It&apos;s the right size for me. I can go by myself, or one or two people can be on board and there&apos;s enough room. It&apos;s powered with one outboard, so it&apos;s not ridiculously expensive to operate. It&apos;s still expensive - it&apos;s a boat, and let&apos;s face it, they&apos;re not cheap. It&apos;s pretty straightforward. There are no frills or fancy stuff on the boat. It&apos;s a basic, deep-vee hull with a center console and a T-top. It&apos;s relatively easy to maintain. It rides well in rough water. I&apos;ve taken some long trips. It&apos;s performed beyond my expectations. Q: What are the elements of a good fishing boat? A: Simplicity and durability are important. You have to have some work space. One of the things I like to see in a fishing boat the size of my Contender is a flat deck from stem to stern - no steps or raised foredeck compartments. And fewer boats are built this way these days. I like a one-level deck because when I&apos;m up there fooling with the anchor I have some stability, some support. The gunwales on my Contender are above my waist forward. On some boats, gunwales are hitting you below the knees - it&apos;s dangerous. Walkaround capability is important - storage, too. I have two full anchor sets on the boat for different conditions. I have a large coffin box on the foredeck, and I have an in-deck live well in the cockpit. Boats need toekick space. If you can&apos;t stand at the gunwales comfortably, there&apos;s a problem. You need a live well - and you need a live well that can actually keep the bait alive. You&apos;d be surprised at how many won&apos;t. The live well has to be round - or at minimum have round corners - to keep the bait alive. Corners kill the fish. Q: Was being a charter captain and guide a positive experience? A: Oh, yeah. I learned a lot about boats, a lot about fishing. I fished with some really good mates who knew what they were doing. Charter fishing in the Keys was still in its heyday at that time. Business was relatively good. It was fun. I ran the boat most of the time and occasionally hired captains and had a mate on board. It was a six-pack boat. I eventually got a 50-ton master. We patch fished. We fished off the reef in the winter. In the spring and summer we would dolphin fish offshore. In the Keys, it&apos;s pretty diverse, so I never got pigeonholed into one type of fishing or species or method. Q: How about a couple of fishing tips? A: If you&apos;re not getting bites on the surface, drop a bait deep. Fish lock in on certain things, like a particular depth or a specific bait, and you have to adapt to get results. Another thing to keep in mind is to always match your leader to the conditions. You may get away with a heavy leader in murky water, but in clear-water conditions you&apos;ll need to drop your leader size down to get bites. 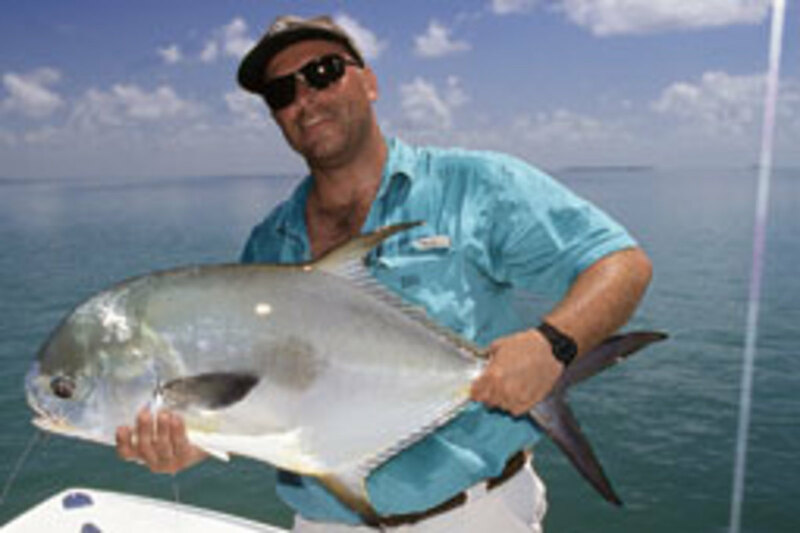 Q: Since you&apos;ve been in the Keys, how has the fishing population changed? A: Well, the bay, Florida Bay, is a shadow of what it once was. It&apos;s on the verge of collapse as far as I&apos;m concerned. Unless you&apos;re a guide and have some niche, it&apos;s very difficult to locate and catch fish. Ocean-side, of course, it&apos;s a lot easier. But the fishing is not what it was. It&apos;s steadily gone downhill. There are some highlights. Sail fishing is still really good in the Keys. The dolphin fishing is nothing like it used to be here. [The depletion] has a lot to do with what goes on in other countries that border these waters - they kill everything that swims and send it to market. Bottom fishing has been beat down pretty hard. A lot of captains put their clients on amberjack, a big fish that fights hard. Well, basically we&apos;ve gone from routinely catching 50-, 60-, 70-pounders to catching today a 20- or 30-pounder. That&apos;s where we&apos;re going. Q: For most of your working career, you have flown commercial passenger airplanes. What skills, techniques, philosophies have you taken from being a jet pilot and applied to boating? A: Attention to detail and having a healthy respect for the environment you&apos;re operating in and being aware that it&apos;s ever-changing. Q: Will more people opt for the low-maintenance boats in this economy? A: I don&apos;t know if they will or are. I still see these triple and quadruple outboard-powered boats - gigantic boats - and I wonder who is buying them and running them because I can&apos;t even imagine buying or owning one. Q: Is your son, Matt, into boats and fishing? A: Yes, very much. He has had his own boat since age 12. He started in a small skiff with a small outboard, but that boat literally got to be too small for him. We got the SeaCraft and worked on that for a year, and now he uses it to spear-fish, fish and cruise around. He&apos;s all about the ocean. It appears his career choice is going in that direction, too. He has been accepted at the U.S. Merchant Marine Academy and is trying to get into the Coast Guard Academy.